The limited edition 8-page exhibition catalogue will be available during the exhibition for a gold coin donation. It has been produced by Nicole Lim with editorial support from Luisa Tora and features artist statements, bio information, photos, letters to the editor, features and sponsors! 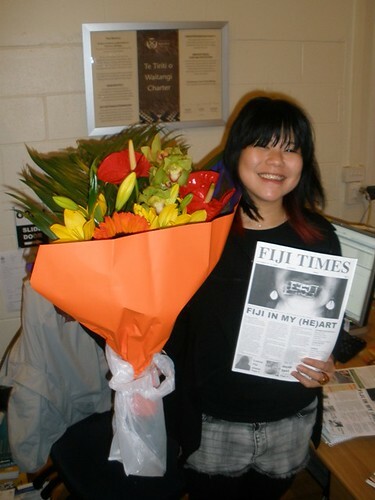 The wonderful Nicole Lim, graphic-designer-survivor! 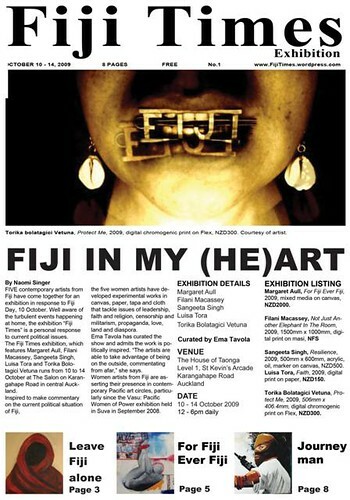 I am interested in your current exhibition of Fijian artists and would be keen to get a copy of the small catalogue.